June kicked off with two new starters joining our ranks as we continue to grow the MullenLowe family. Lolo and Jessica – welcome to the team! We first met Lolo in 2015 while she was completing her Integrated Marketing Communications degree at AAA School of Advertising. We briefed the students at AAA to present a campaign for White Star, and Lolo’s presentation impressed us so much we invited her to join MullenLowe as an Accounts Executive intern. After a month of training and lots of fun she decided to head back to Johannesburg to try something new. Joining SAfm’s marketing team, she spent a year travelling all over the country promoting the station through BTL campaigns. This solidified her passion for advertising and she decided to take it a step further, enrolling for a BA Honours degree in Strategic Brand Communication at Vega, which she is busy completing. Her bubbly personality and passion for Advertising, Media, Communications, UX Design and People has made her a valuable asset to the team, and we are thrilled that she has found a home in the MullenLowe family. Jessica cut her teeth writing for award-winning music and lifestyle website Texx And The City. 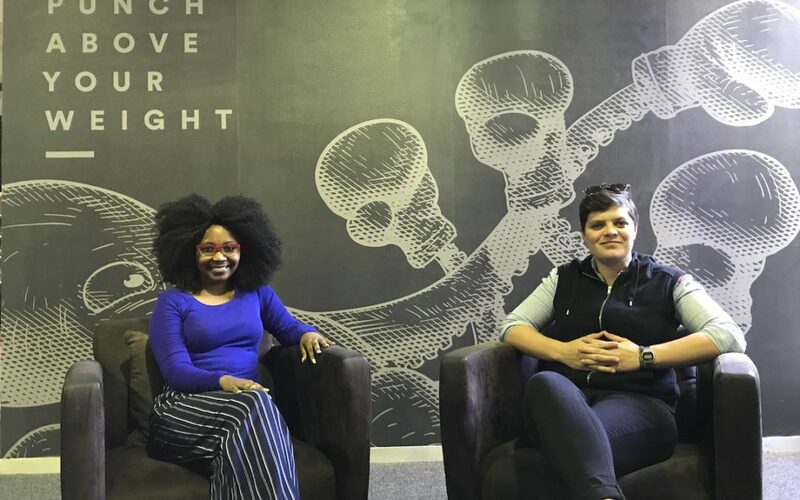 After two years of intensive tutelage under founder Tecla Ciolfi, she entered the digital world as a content creator and community manager for a small agency in Cape Town. Here she honed in her social media skills working on various small to medium sized brands and businesses, and quickly showed a natural aptitude for the craft. Her personal social presence led to greener pastures in the freelance field where she worked on a number of well-known brands, as well as on a couple of smaller accounts – most notably the launch of a popular restaurant in Cape Town which is thriving thanks in part to her water-tight strategy and execution. She has joined our Cape Town office as a Digital Copywriter and Community Manager, and will be working closely with our Digital Manager Neal Tosefsky to give our clients the absolute best in the industry.